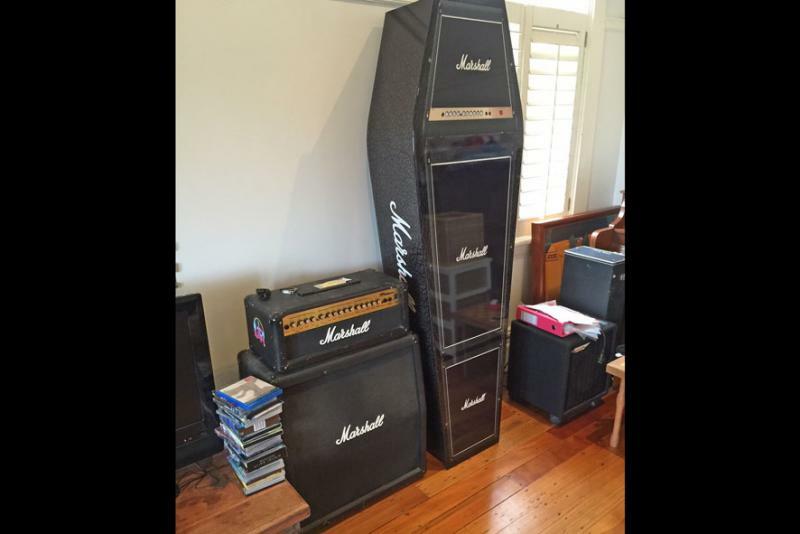 An Expression Coffin that looked like a Marshall guitar amplifier was the request. The ailing gentleman supplied us with images of his favourite amp, and we got to work on the design. It turned out to be such a wonderfully, brilliant way to celebrate the life of a rock music devotee. This is one design we won’t forget. For those about to rock, we salute you! With a heavy heart, we said goodbye to dad last week. We did end up playing his song, ‘Highway to Hell’ as his coffin was taken out through the crowd to the hearse. 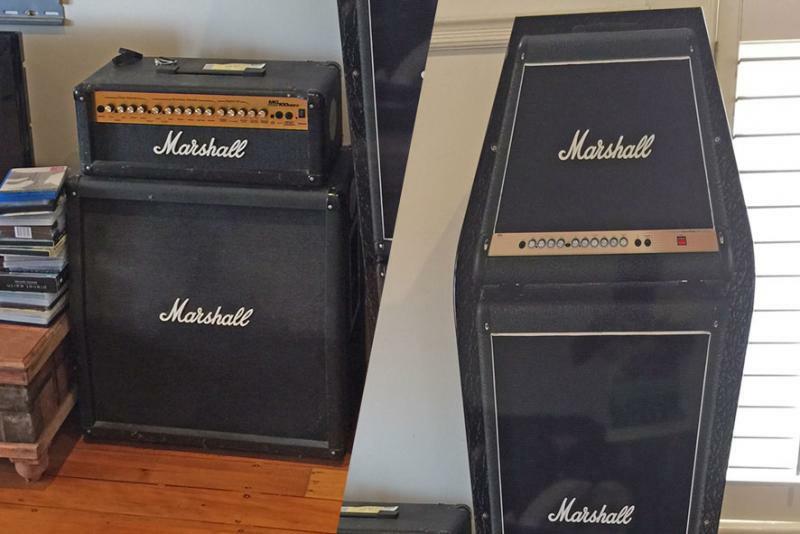 Thanks again for getting the coffin designed so quickly, it was a real tribute to our amazing rock ‘n’ rolling dad.